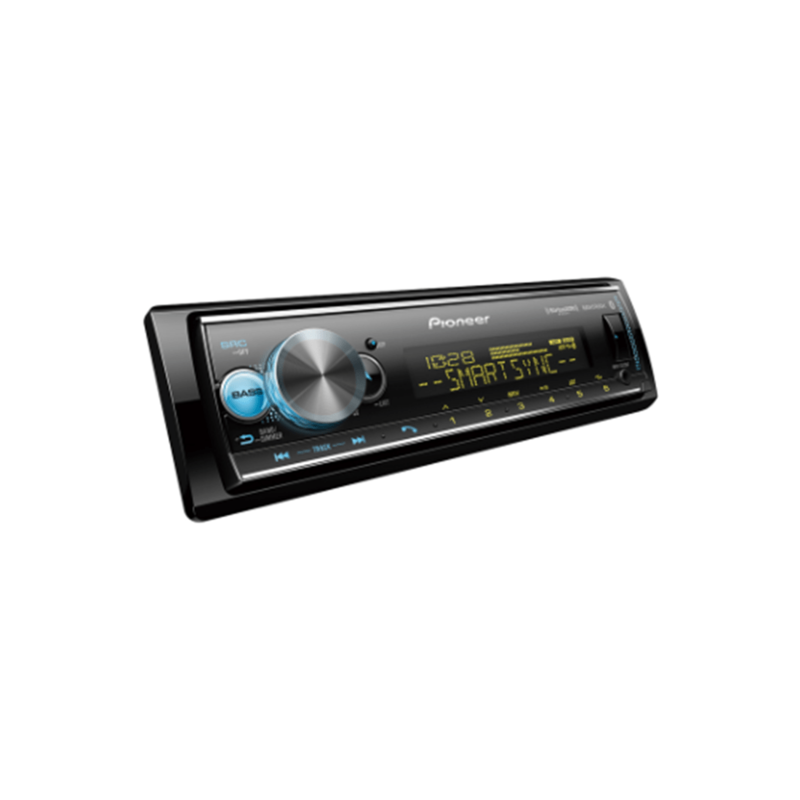 The Pioneer MVH-S512BS Smart Sync App raises in-car entertainment to new heights with an evolutionary leap in communication between your smartphone and the Audio receiver. Easily pair a Bluetooth enabled phone to the MVH-S512BS without having to go through complicated settings. When a registered Bluetooth device is near the receiver, the auto connection function automatically pairs the two units. Enjoy wireless audio streaming, hands-free calling, and simple pairing. 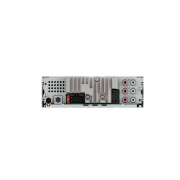 The MVH-S512BS features Bluetooth Hands Free Profile 1.6 including Wide-band Speech capability, which improves the sound quality of phone calls by offering double the frequency bandwidth. A2DP connection allows up to 5 Bluetooth® devices to be connected simultaneously. 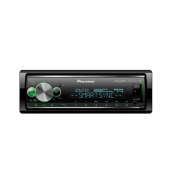 The Pioneer MVH-S512BS comes with support for Spotify, just connect your compatible smartphone to a Pioneer Car Stereo Receiver to fill your ride with everything from classic tracks to the latest hits. Premium subscription may apply. This Pioneer Car Stereo Receiver upgrades in-car audio with amazing sound reproduction with their ability to play FLAC (Free Lossless Audio Codec) files, which are 50-60% smaller than WAV files yet retain the integrity of the original sound sources. FLAC playback at up to 44.1khz sampling frequency and 16-bit bitrate for files stored on a USB thumb drive. 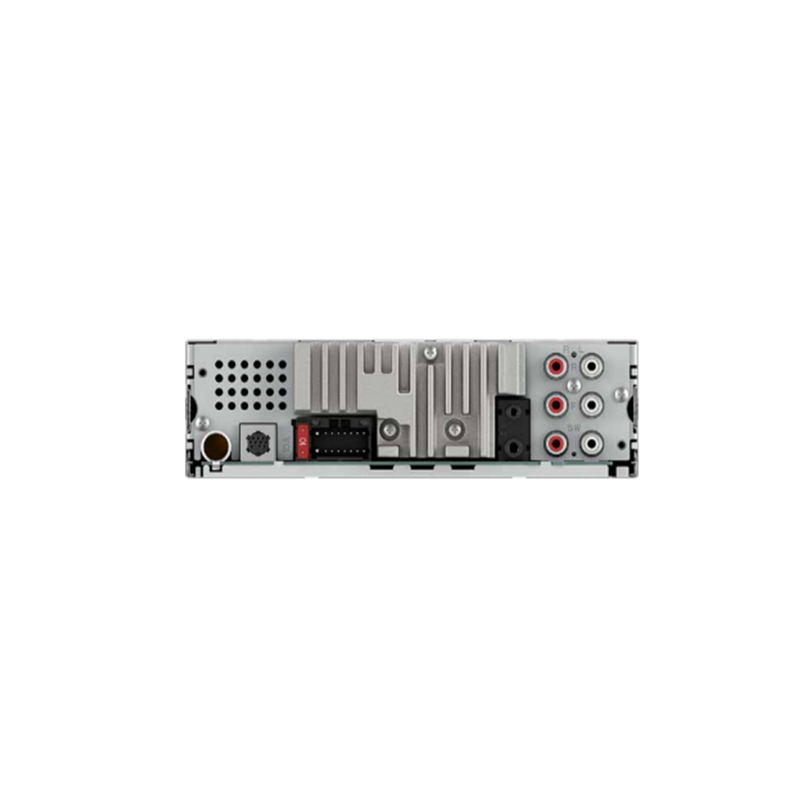 3 Way mode allows you to add up to three external amplifiers, dedicated to driving high-, mid-, and low-frequency ranges, respectively. The result: more distinct separation of the three frequency ranges, for more full, natural sound realizing more of each speaker’s potential in a multi-speaker system.